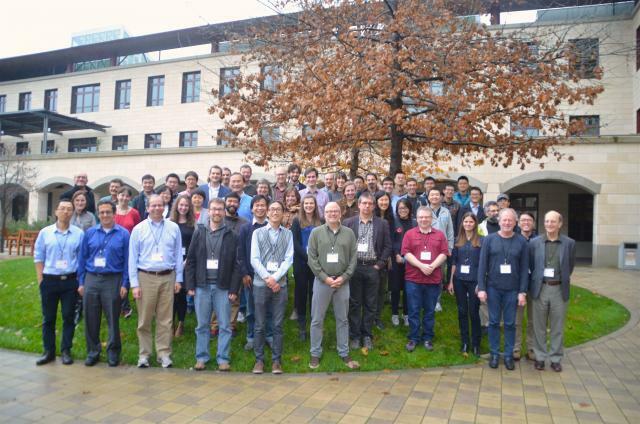 Members of the Extreme Physics and Chemistry (EPC) community met at Stanford University on Saturday and Sunday, 10-11 December 2016, presenting scientific progress on studies of carbon in deep Earth. The workshop also included focused discussions addressing EPC goals for the near future and lasting legacies of the community’s work. 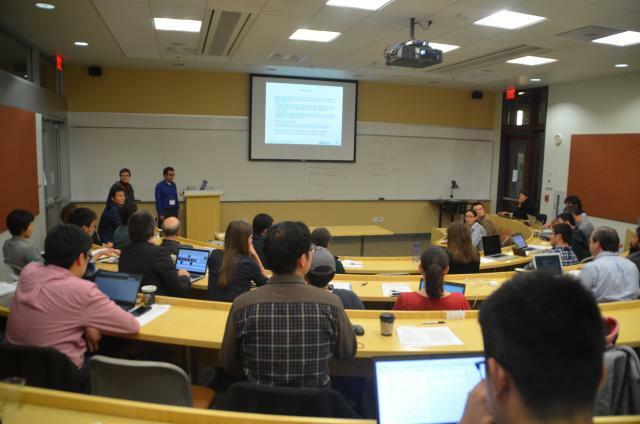 EPC Community co-chairs Craig Manning (University of California Los Angeles, USA) and Wendy Mao (Stanford University, USA) organized the meeting, which involved academic researchers and students from around the world. In talks and posters, participants shared new insights into carbon in the crust, mantle, and core. Results from natural, experimental and computer simulations ranged in scale from the molecular (such as simulations of transient carbon-carbon atomic bonds shown by Razvan Caracas, Le Centre National de la Recherche Scientifique, France) to the global (such as wehrlite formation by carbonatite metasomatism suggested by Daniel Weidendorfer, ETH, Zurich). Workshop participants considered the fate of subducted carbon in melts as well as high-pressure fluids, addressing the properties and speciation of carbon, with several researchers including Evan Abramson (University of Washington, USA) and Ding Pan (University of Hong Kong, China) indicating the likelihood of carbon dissolved as organic compounds rather than CO2. Others, such as Susannah Dorfman (Michigan State University, USA), identified the stability of carbonate, tetrahedral carbon, and iron-carbide minerals, with implications for carbon cycling and oxygen fugacity at extreme depths. Over the course of several discussions, the group identified concrete goals for the next 3 years of DCO funding and beyond. In the immediate future all EPC members will focus on making publications and data more readily available to both the scientific community as well as public audiences. One way is through uploading experimental work to the “LEPR” database. Mark Ghiorso (OFM Research, USA), Peter Fox (Rensselaer Polytechnic Institute, USA), and Mark Spiegelman (Lamont-Doherty Earth Observatory, USA) presented updates on the current status of available geochemical and geodynamic models, and emphasized that such databases linking laboratory and computational research will help produce and improve complex, comprehensive models of deep Earth systems. Attendees also discussed contributing review papers to collaborative special issue publications about extreme physics, chemistry and dynamics of carbon cycling, particularly through geologic time. The group is also planning to develop an online repository for animations and videos as a resource for EPC scientists to share their work with students and public audiences.